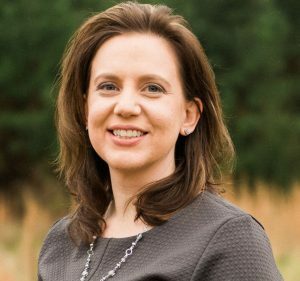 Amy Walker Cagle is a Board Certified Specialist in Estate Planning and Probate Law, focusing her practice on estate and gift tax planning, probate law, and trust administration. She has helped hundreds of clients navigate probate matters with the court and strives to use this experience to create straightforward and functional estate plans tailored to her client’s desires. Amy’s clients cite her competency and sincerity as particular strengths that allow them to easily understand the process and to feel confident with any decisions they make. She joined the firm in 2010 because she is dedicated to its mission of attentive and thorough client service. Amy graduated from Syracuse University College of Law, where she concentrated her studies in estate planning and tax issues and received a certification in Estate Planning. She was admitted to the New York State Bar in February 2009 and the North Carolina State Bar in March 2010. Amy previously handled volunteer cases for Legal Aid of North Carolina. Her work in this area was recognized by the Greensboro Bar Association with the 2010 Herb Faulk Society Award for pro bono hours. She is a frequent speaker on estate planning topics to a wide variety of community groups. Amy was born in Silver Spring, Maryland, and grew up in the Washington, D.C., area. In 2001, she moved to Syracuse, New York, to attend college and law school. In 2008, having sufficiently experienced the snowy winters in Syracuse, she moved to Mebane, North Carolina, where she now warmly resides. People own land. This concept is as old as dirt. Still, I sometimes daydream about how land was transferred in the days before government agencies regulated out all of the chaos and fun. I envision a scenario where a person laid their claim to a piece of land (recently and involuntarily vacated by a now-deceased owner) simply by physically presenting themselves on it. I think we can all agree that memory is an easily influenced contraption. Too often we rely on what we know about ourselves and our current surroundings in concluding what our past decisions may have been. Everyone has an estate and every estate has value, but this value is not often monetary. It is all too easy to dismiss estate planning as something that is not needed until we have amassed a certain amount of wealth.